From Responsive Web Design that delights your visitors to E-commerce Web Design that bring in huge sales returns, our London Web Designers and Web Developers work with style and substance since 2006. Our Digital Marketing Campaigns effectively drives website traffic and bring in business conversions-from small to large. Why choose us for Web Design London? 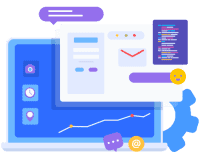 Based in the heart of North London, we pride ourselves on our proven expertise in Web Design, Web Development and Search Engine Optimisation skills. We're a creative web and mobile app development company with our own dedicated and enthusiastic web designers. 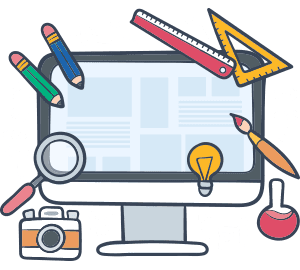 We believe aesthetics is important when choosing for Web Design London companies and so far are considered as one of the leading web design Company in North London. 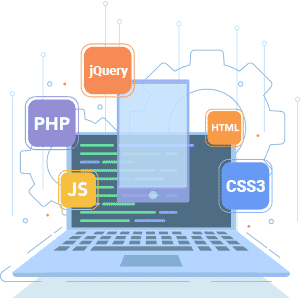 While we concentrate on creating unique, custom build and interactive website designs with the latest technology such as CSS3, Laravel, PHP, and HTML5, we ensure the websites we build are Search Engine Optimised. When you’re in need of a creative web design company whether in Enfield or North London, please think of us. We've helped over 600 UK clients with their needs in Website Designs, Web Development, Software Development and Web Hosting needs. Focusing on results, we use our technical skills along with 13 years of industry insight to help you to meet your end business goals. 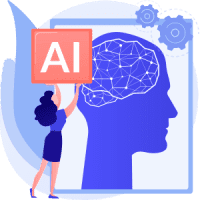 If you feel, we're the right fit please contact us on 020 8363 4905 to discuss on our web design company or to talk about what your business needs. We will be happy to advise on what works best for you. The Complexity of Your Project Doesn’t Stop Us. We Deliver. Let Us Help You, Expert Advice at Your Fingertips. Cost Effective Assistance for Your First Foray into The Digital Market. We Scale to Your Needs - Consistently Supporting Start-Ups Since 2006. We’re Design Direct Web Solutions Ltd, a London based Web Design and Web Development Company! We deliver all your digital needs inside London and the UK. It doesn’t matter to us whether you’re a start-up or an established business. We want your business to stand out from the crowd. By working with you we apply our knowledge to your strategy and branding guidelines, to create a final product that you and your customers will love. We helped LetsBid with their Online Property Auction Website and created a fully Bespoke Estate Agent Mobile App. We created a fully functional website for Arab British Chamber of Commerce which helped them in the promotion of bilateral trade and investment between Britain and the Arab countries. We designed a professional looking website for Rayan Enterprises which highlighted their Luxury Interior Designs, showcasing the wonderful portfolio. We helped Wow Jewellery to design their online store and to explicitly display their large collection of classic and contemporary jewellery items for women and for every occasion. Need a well-designed website which brings in more sales and profit? We deliver this by taking your business idea from concept to reality. Looking for a team of passionate and professional Web Developers in London? We deliver bespoke Web Solutions to meet your goals. Want to develop a Hybrid Mobile App in iOS, Android, Windows or on all three? 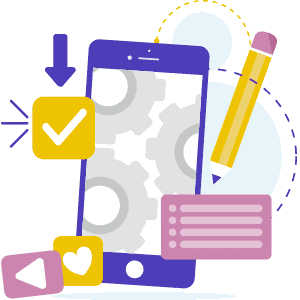 We develop Hybrid Mobile Apps to ensure you get flexible and high-quality Apps. Need a software solution to solve your business needs? The collective skills of our Software Developers will deliver Bespoke Software Solutions to help your business thrive. Looking for a way to bring in more business? We create & manage SEO, Digital Marketing Services & PPC Campaigns to drive targeted traffic to your website. We Love Our Awesome Clients. Over the last 12 years, we have worked on 600+ web projects in the UK alone. And, have achieved outstanding results. We got our website designed from Design Direct Web Solutions Ltd. Quite helpful and co-operative team. They are good at what they are doing. Also we take SEO facilities through them and our online search ratings have improved a lot and we are getting online sales enquiries. Would recommend Design Direct for your web designing services. Without hesitate, I write to express my thanks to your team of professionals, who have designed the website for "The Latter-Rain Outpouring Revival Ministries". The result is that the website is one of complete delight with such ease and friendly links to navigate the site. The website is tailor-made at an affordable cost. I have no hesitation in recommending your services to others. We have worked with Design Direct UK with few projects, they are very professional and excellent people to work for....I would sincerely recommend Design Direct UK for your designs or other related project's.